Through counselling, our challenges can become our strengths. I believe that personal growth often times means facing our difficulties and learning from them. Sometimes this means overcoming obstacles through practical and goal oriented work, and sometimes this means sitting with our challenges and making sense of them in the broader unfolding of our lives. In most cases, growth, happiness and a sense of freedom come with a more full engagement in our own lives. 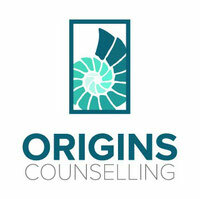 I provide short term counselling and longer term psychotherapy. Short term counselling provides practical solutions for issues such as stress, anxiety, depression, relationship issues, and substance use. I take a Jungian approach to depth psychotherapy and focus on unlived aspects of ourselves, personal growth and identity, and the development of an authentic personality. Jungian psychotherapy predominantly focuses on unconscious material and the self. My counselling service offers a private, safe, confidential space for you to address your challenges and improve your life. I believe each person is on their own path to healing and growth. My counselling approach is to create a contained space in which your work of self-discovery can take place. My role is to support your goals for yourself, listen carefully to you, and ask questions that deepen your experience. I work with people of all ages and have specific training to work with young adults. LGBTQ and First Nations people can trust they will find a safe place with me.